A clarinet stand is a useful accessory for many clarinet players. 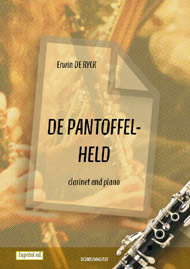 For smaller clarinets, like E flat or B flat clarinets, a stand is useful for resting the clarinet between sessions of playing; for larger members of the clarinet family, a stand is necessary to rest the clarinet on while playing. While stands that are used as a rest between playing come in many different materials and price ranges, the basic design is usually the same. A cone is attached to a board, and the clarinet is placed, bell down, upon the cone. 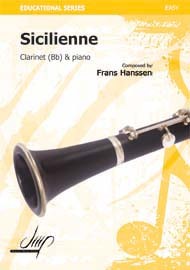 A stand of the right size must be used for each different type of clarinet, with some professional players using stands that will hold two or three clarinets, for performances where they may be called upon to play B flat, E flat and A clarinets. Many modern stands are of a design that can be folded up to a small size, and stands come in materials ranging from wood to plastics. For large clarinets, such as contra bass versions, a stand is needed to hold the instrument while it is being played. 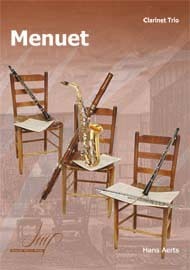 While rare, such stands are available from specialist woodwind supplies makers. These stands are usually adjustable, and fold up to a smaller size. If one of these stands is not used, the player must rely on balancing the instrument on a peg, which is not as stable.